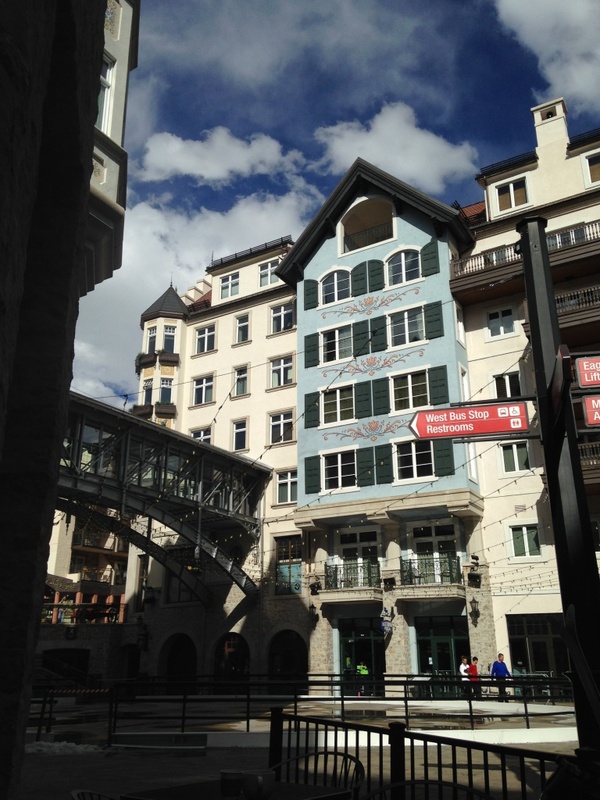 Vail Ski Resort is divided into two small villages, Lionshead and Vail Village. My last post talked about Vail Village so this post is dedicated to Lionshead and its restaurants. Lionshead is the smallest of the two, but recently there has been a large investment in this particular area of Vail. These investments have brought a number of new restaurants to the area. These restaurants have been a great addition since most of them are casual and perfect for après ski including food and drinks. I really enjoyed two of them in particular. Blue Moose Pizza is a casual pizzeria next to the ice skating rink. It has a nice terrace perfect to enjoy the weather during spring. This restaurant has many unique pizza offerings. Its the perfect place to go have a late lunch after a long day of skiing. We ordered a broccoli pizza and one with spicy chicken wings. They where both delicious and unique in terms of ingredients. The chicken wing pizza was pretty spicy even for a Mexican so stay away if you don’t like spicy food. The restaurant offers individual slices, and three different size of pizza.Blue Moose is perfect for families and big groups. The other restaurant I would recommend is The Tavern which is part of the Arabelle Hotel. This restaurant is located right next to the Lionshead Gondola so if the weather is nice you can sit in the terrace and enjoy the mountain view. The terrace has live music on sunny days and it gets really crowded. This place is perfect for a casual lunch. We had lunch inside because of the weather but it was well worth it. They serve great soups, salads and burgers. I had a challah burger with cheese and fries which was outstanding! I loved my burger with challah bread which was extremely unique, I like to try new things and play around with ingredients when I eat. My family ordered different type of hamburgers and they all loved them. Everybody agreed the food was great and the place is nice and convenient, perfect to grab a late lunch at a casual place.